One in three children in the U.S. is overweight or obese. Childhood obesity puts kids at risk for health problems that were once seen only in adults, like type 2 diabetes, high blood pressure, and heart disease. Get active outside — walk around the neighborhood, go on a bike ride, or play basketball at the park. Make healthy meals — buy and serve more vegetables, fruits, and whole grain foods. Serve lean meats such as chicken breasts, lean pork, or lean beef. Limit portions and have only one helping per meal sitting. (No fried foods or snack cakes) Pack healthy lunches and or snacks in your child’s lunchbox. Taking small steps as a family can help your child stay at a healthy weight and by setting a good example by leading by example, you as the parent can benefit from it as well. 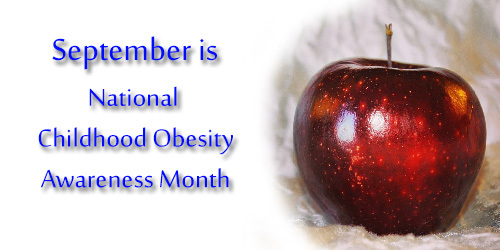 To help you understand more about obesity as a whole, Symphony Healthcare, Inc. is offering FREE BMI [Body Mass Index] screenings for children ages 6-17-years-old during the month of September in recognition of National Childhood Obesity Awareness Month. If you would like more information please contact Symphony Healthcare, Inc. at 352-629-5939. Be sure to mention Ocala Post sent you. Times ~ 4 a.m.~11 p.m.
Times ~ 6 a.m. to 10 p.m.
Other ~ Rough terrain includes observation decks. Rules for all Parks: Leave No Trace. Stay on the beaten path. Do not disturb the vegetation or wildlife. Bring out what you take in. Have Fun!